This is the telescope I recommend for most beginners. It's a value-for-money telescope that gives erect image views of land objects and is capable of viewing the brighter objects in the night sky, like the Moon, Jupiter, Saturn, Venus, Mars and bright star clusters. 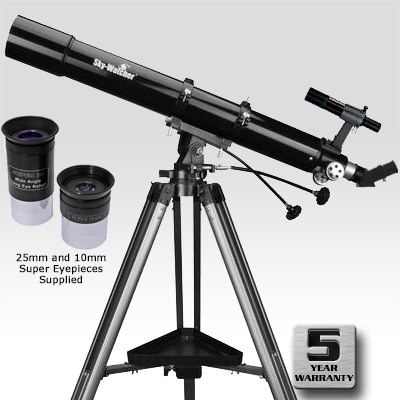 This portable telescope comes with a multi-coated, achromatic objective lens of 90mm and a focal length of 900mm. The telescope's sturdy Alt-Azimuth mount allows you to move the scope up and down and left to right, making it easy to point at objects. Double the magnification!!! 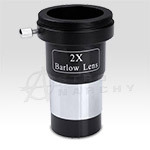 Simply insert the supplied 10mm eyepiece into the 2x barlow to boost your magnification to the telescopes maximum 180x. 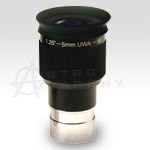 Great for views of the planets and craters on the Moon. 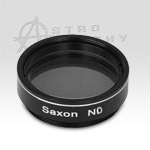 Increase the magnification of your 90x900 Refractor telescope to its MAXIMUM 180x with this crisp eyepiece. Great for views of the planets and craters on the Moon. Ideal as a Moon filter. Generally needed when using your supplied low power 25mm on a Full Moon. 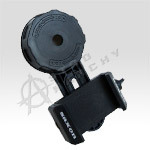 Simply screw it onto the bottom of the eyepiece or hold it over the top. Take pictures through your 90x900 refractor. Simply insert your phone and securely attach it to the eyepiece.